CODA Estates are a Lenzie based, Estate Agents and can be found in their impressive modern office situated in the iconic Post Office buildings in the heart of the village. With extensive experience in estate agency, property sales, development and rental in both residential and commercial properties, CODA have brought a fresh, friendly approach to dealing with their clients. CODA maintain that their client’s ambition, success and loyalty has inevitably lead to the rapid expansion of their business. As a result they have cemented their position as one of the fastest growing estate agencies in its core business area and has gained a reputation as a leading estate agent across the central belt of Scotland. CODA have been actively involved in Lenzie Community Gala Day for a number of years and have provided vital support in various forms to enhance the offering for Gala patrons. As this year’s headline sponsor, CODA are absolutely delighted to support the exciting new format of Lenzie GalaFest by sponsoring the “CODA Estates Big Tent” in its inaugural year. CODA were quick to support this new feature which will be housing artisan stalls and entertainment which will provide much needed shelter if required during this year’s event. 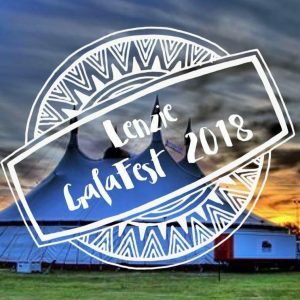 “Everyone at CODA are proud and excited to be the headline sponsor for the new format Lenzie GalaFest 2018 and able to deliver the new feature of the big tent. The Lenzie Gala is a fantastic and essential community event which relies on the support of the village to ensure that it can be delivered year on year. We are looking forward to seeing the new attractions, activities and supporting the ‘’Year of the Young People’’ at this year’s event. We are proud to take our corporate social responsibility seriously and that we have been able to do so by making the new Lenzie GalaFest a reality”.